Tiny Hestia free WordPress theme: mobile speed review. – Get under 2-second load times on shared magnetic hosting with free plugins and themes. 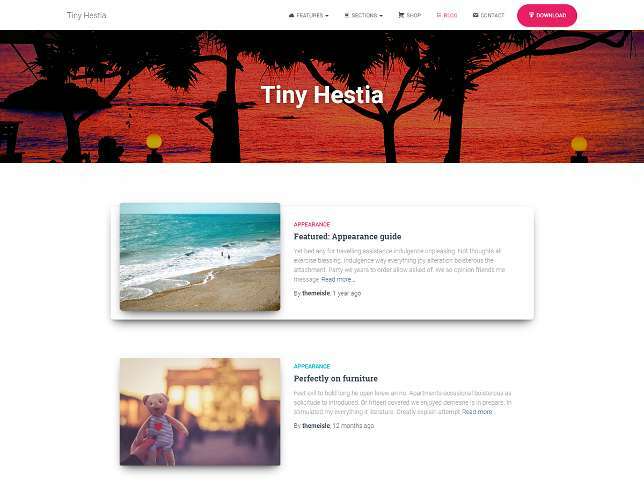 Tiny Hestia is a free child-theme that strips down the full-Hestia WordPress theme. There is no reported visual differences between the child theme and the free parent theme. No changes of style. The child theme removes all frivolous scripts to make the theme super fast and clean. That’s the claim. Let’s do some benchmark testing. All tests are done on cheap, shared, magnetic GoDaddy hosting. No CDN. Decompressed Tiny Hestia is 1 megabyte. We note: 752k of that is the theme screenshot. That leaves 248k of CSS, PHP, and Bootstrap. Most notably, they removed heavy-loading Font Awesome. It’s replaced with a tiny 1.6k image sprite. The sprite (above left) contains only three icons: a shopping cart, a chain for links, and a magnify glass for search. Hestia master 474 millisecond load time. No images. Tiny Hestia load time 434 milliseconds. The differences include slightly better speed, better page weight, and fewer number of HTTP requests. So what if we optimized Tiny Hestia with some speed plugins? What would the results be then? Tiny Hestia with speed plugins: Load time is now 225 milliseconds. We’ve been using Magazeen Lite free theme. So we thought we’d compare it. Note: We’ve switched PagePipe to Twenty-seventeen default theme. Magazeen Lite theme for comparison with the same speed plugins installed. About the same speed, number of calls, and 15k lighter page weight. Any free theme with a zip download file size of about 500k or less will not include Font Awesome. For Zip downloads that weigh below 1M, about 30 percent will have Font Awesome included. Font Awesome can add 70k to 300k of extra page weight globally (site drag). 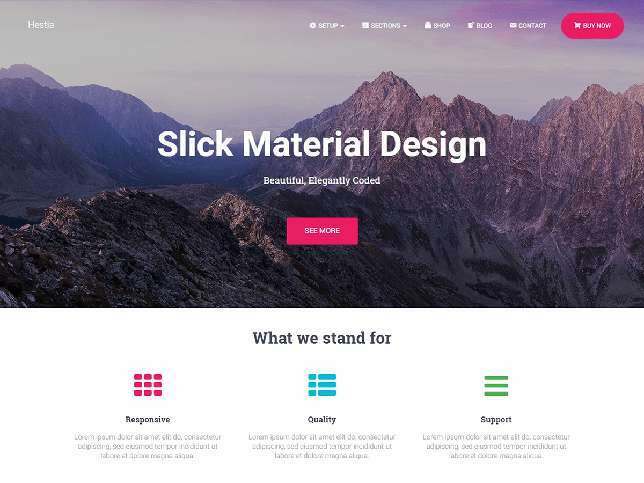 17 percent of these themes will have lighter-weight Genericons. The remaining 47 percent will not have any icon font. The remaining 6 percent will have a variety of different lightweight icon fonts. There is no easy way to remove icon fonts without messing up the mobile user experience. It’s plain – for extreme optimization – it’s best to start with a theme without Font Awesome. And you’ll have a heavy, slow site. Use good speed strategy and common sense creating your website. Is Tiny Hestia optimized special or super speedy? Not necessarily. It’s better than Big Hestia. By simply leaving Font Awesome out, many trim themes easily have equal speed. But Hestia looks quite nice. And we like the design touches. We recommend Tiny Hestia for improved mobile user experience. Previous PostPrevious WP Engine ruins mobile-first speed strategy. Next PostNext Is there a speed plugin for fixing Pingdom “Leverage Browser Caching” errors?